The Le Sigh: Premiere: Girlpool - "Jane"
We couldn't be more excited to premiere Girlpool's newest song "Jane." Girlpool is the project of two friends: Harmony Tividad and Cleo Tucker. Their music reminds me of hot sticky summer days spent driving around with no end destination. 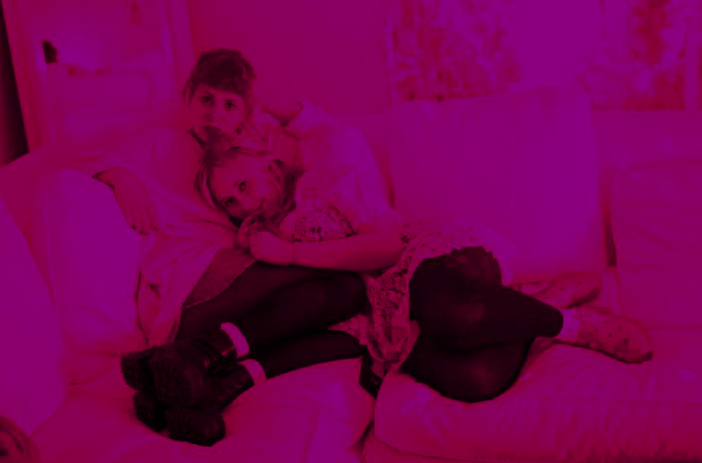 I discovered the Cali-duo courtesy of Sad Girls Guide, and have been hooked on the few punk tunes floating around on their bandcamp ever since. If Cat Power and Courtney Love came together to wear jean jackets and write angsty campfire songs, it would probably sound something like this. There is not much known about Girlpool on the internet; but they're rad feminists who don't want to be told that feminism is "lame and irrelevant" anymore. Are you sold yet? We're pleased to be able to premiere the first listen of "Jane," a twangy track off their upcoming self-titled tape Girlpool, to be released by Big Joy Records on February 11th. "Jane" is a raw anthem for everyone everywhere – "Girls and boys if you are listening, don't ever feel imprisoned" the girls sing in unison after a series of shrieks. If you enjoyed this track, the duo will be playing more unreleased songs live on KCSB-FM 91.9 tonight at 10 PM (PST). "'Jane' is a song about not feeling worthy to speak your mind. At the time this song was written, I was spending a lot of my time in male dominated environments. I rarely felt listened to, totally respected, or taken as seriously as I hoped to be. I was swallowing my words. I didn't feel like they were considered valid to those who surrounded me. 'Jane' is intended to communicate this message: Do not allow a person to diminish your ideas. Stand behind your thoughts with a vigorous sense of pride. When your words are not taken seriously, voice that they must be. We hope this song makes you think about situations you may feel oppressed in, or maybe situations you might be inflicting the oppression, and can allow you to think of ways to stop it from happening in your life." Listen to Girlpool on bandcamp.